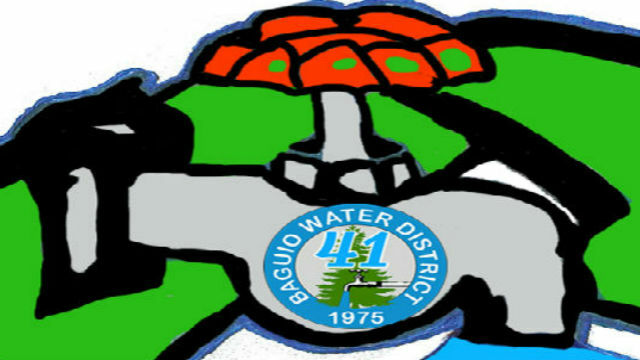 BAGUIO CITY – With the onset of this year’s dry season, the Baguio Water District urges the general public to be mindful of their water consumption. Royeca called on everybody’s attention to limit their consumption not only to save money on their water bills but also to protect the city’s limited resources. “We should consider the possibility of re-experiencing temporary shortage on our supply that is why everybody needs to be well prepared just in case.” Royeca said. “We would have to consider that apart from the household consumers and local business establishments and offices, we also share our supply with the flocking visitors.” the General Manager added. The BWD top official also mentioned that while it is true that scorching summer heat adds pressure to the use of water, it would help if everyone will closely monitor and limit their consumption as much as possible. “Here in the Summer Capital, we significantly rely on ground water as our primary source. With the rapid urbanization and considering scarcity of rain in the previous year, we might experience temporary water shortage before the wet season comes.” Royeca pointed out. Despite the projected difficulty, the District has already prepared contingency plans for water distribution this summer. Since 2013, the District has gradually initiated developments in closing the gap of the water demand vis-à-vis water supply. Just last year, BWD has implemented major infrastructure and development projects including the rehabilitation of the Sto. Tomas Rain Basin (STRB) and the reconstruction of the Busol Rain Catchment Facilities to address the water needs of the City. STRB, intended to augment supply in the southern part of the city, sees to increase water reserves from 500,000 cubic meters (m3) to at least 700,000m3 after rehab while the Busol facilities will add around 51,462 m3 and augment the supply of the areas surrounding it. In addition, explorations on additional underground sources are continuing. Last year, the Tam-awan deepwell was completed and commissioned early this March. Other drilling explorations currently on-going takes in Military Cut-off, while at least eight proposed drilling projects are already lined this 2018 including explorations at Camp 7, Busol-Tip Top, South Drive, Pinesville, Salud Mitra, Kadaklan-Apugan, Outlook and Loakan. Last January, the District officially launched the ground breaking ceremony of the mini-bulk water supply at Badiwan, Tuba, Benguet. The undertaking sees to generate at least 2,000 and at most 5,000m3 of additional supply daily upon its target operation on 2019. Moreover, the Harrison Rd., Cabinet Hill, and Camp Allen deep wells were rehabilitated and re-commissioned to enhance the daily production of the BWD. In 2017, records show that the water utility has a daily supply capability of 41,227m3 compared to the 41,338m3 actual demand from all active connections and to the 64,095 m3 demand from the total population. At present, BWD operates a total of 70 pumping stations with 62 deep wells, and four spring sources which serves 122 out of 129 barangays in Baguio or a total of 41,974 billed connections which include some parts of Tuba. Apart from the commissioned deep wells, BWD asserts to maximize the operations of delivery trucks which will back up water distribution during summer. For water supply concerns, the public is advised to contact us through the following numbers: 442-4929, 442-3218, 442-6539, 0908-865-1504, 0917-679-4929, 0922-840-9765, send their email at baguiowaterdistrictgmo@gmail.com or visit the Office of the General Manager at 003 Purok BWD, Barangay Marcoville, DPS Compound.